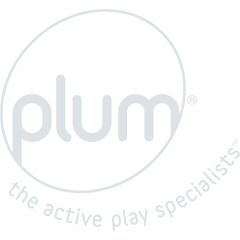 Inspire hours of outdoor, active play for children and adults too! 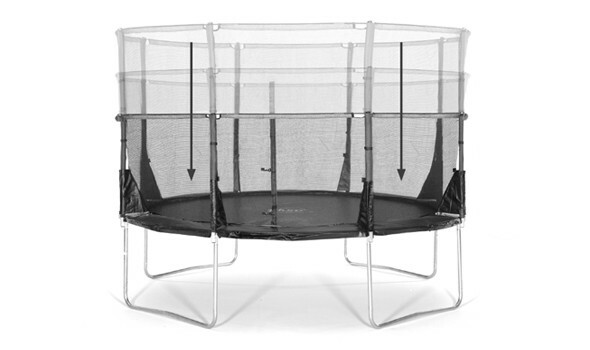 The Space Zone II Evolution features the original Space Zone II trampoline design and has a unique pack down enclosure. 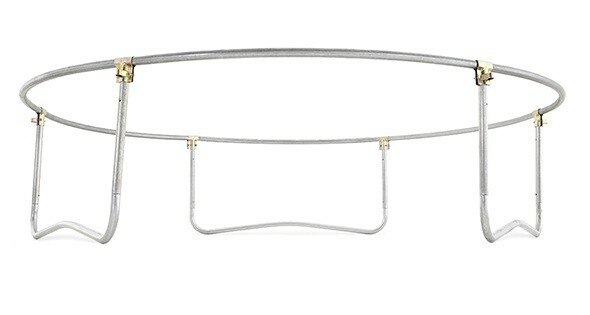 Simply fold down the enclosure poles and net with our pushpin mechanism. This unique telescopic enclosure design makes for easy living and will give an aesthetically pleasing look to any garden year round. 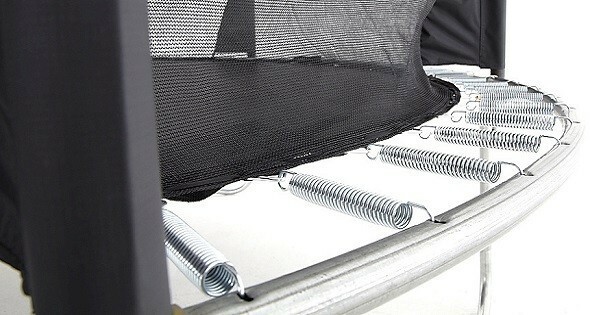 Fitted with a 3G enclosure, the net is sewn to the jumping mat to keep little fingers away from the springs and frame parts making the trampoline Springsafe®. 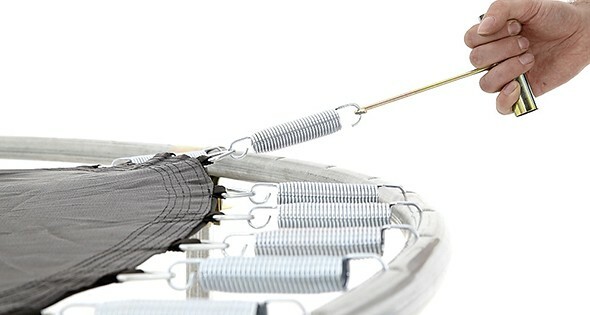 Simply clip down the enclosure and easily remove the foam allowing the trampoline to be packed down effortlessly in changing weather conditions.The pushpin mechanism comes with a handy tool to pack down the enclosure in seconds. 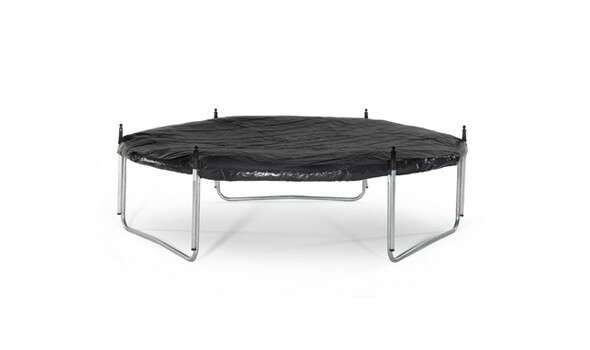 Once the enclosure has been easily packed down, the trampoline cover provides protection of the vital safety components. 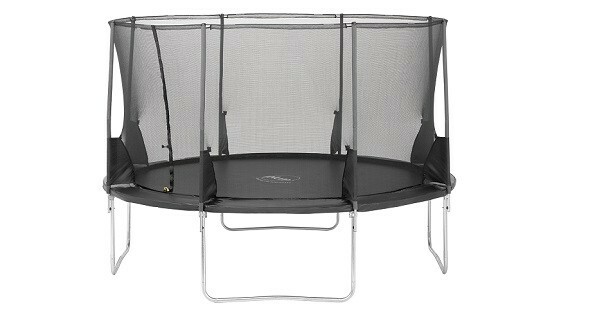 The Space Zone II Evolution trampoline has a 3G enclosure giving complete protection from the springs and frame parts. The solid steel frame is galvanised inside and out for strength and weather resistance, providing long lasting, rust free protection. 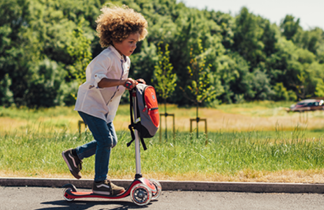 Zinc coated springs and durable jumping mat provide the ultimate bounce. The Space Zone II has an all-black enclosure design with a top rim to ensure the enclosure net is kept taut with no sagging. Outdoor use only. One user at a time collision hazard. Replace the enclosure net after one year of use. Only for domestic use. Minimum user age 6 years. Maximum user weight 125kg. We recommend you place the trampoline on a level surface at least 2m from any overhead structure or obstruction such as a fence garage house overhanging branches laundry lines or electrical wires.